SINGAPORE: I am a mother of two young children and I’m known for both making travel plans way in advance and jumping on a plane with the kids on a whim for a long weekend somewhere. My little ones already know this as a way of life. 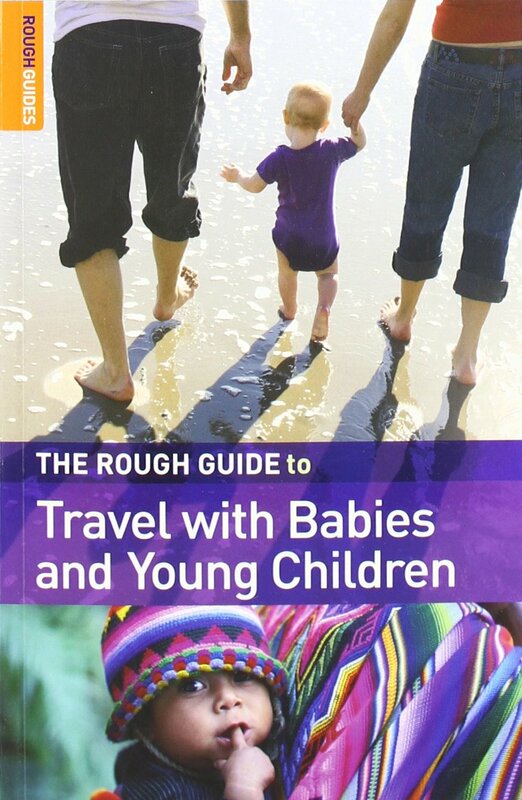 In fact, travel has been an intrinsic part of their childhood from when they were only two months old. Travelling at a young age has also made them adaptable, think quick on their feet and feel comfortable in new environments. In fact, the younger they are, the easier it is to travel. Here’s how. The first thing to remember about bringing a baby on board a plane is to have exactly what you need and nothing more. You don’t want to carry too many things (especially toys) that you could lose or drop, so I always prefer a streamlined approach. Invest in a good baby carrier and travel pram. It leaves your hands free and is the best choice for any kind of travel. Carrying heavier babies all day may leave you sweating and achy, so get a foldable stroller with a shoulder sling for city breaks. Pack only the essentials. Here’s what should go in your baby bag: Some diapers, milk paraphernalia (if Mummy is not nursing), baby wipes and extra change of clothes for baby and parents because accidents happen. Otherwise, don’t bring anything that you can easily acquire at your destination (especially disposables). Choose your seats well. Not all of us can travel business class all the time. When travelling economy, spend the cash where you may need it. Book the row with the bassinet or seats with a bit more legroom (although I actually prefer to be able to place my bag under the seat in front of me for easy access). Depending on how you see it, you can have fun with older tots and kids on your travels. Once they are able to walk and talk, you can get them to participate a little more on the trip. Get them involved. Start with simple things like carrying their own backpacks or watching a younger sibling while you check in. Tell them what gate you’re looking for as you walk through the departure hall. Make them sleep. Make sure they go to the toilet before boarding the plane and before a meal is served. Then use the sleep eye masks on them! Depending on the time difference when you land, you either want your kids to be ready to start the day or for bed. For long-haul travel, sufficient rest is a must to prevent jet lag and keep kids from getting cranky. Special treats. It could be a book, toy or snack that your kids can enjoy only when they are on holiday. This can distract them from long waiting times. For example, my children are not hooked on gadgets, so watching a movie on the plane becomes something special, plus they never ask for the iPad when we are not on vacation. Special meals: Always make sure to request for child meals when you are booking the flight (they don’t always come automatically with a child fare for some carriers). Also, remember to ask for a souvenir kids pack; some airlines include quite nifty items like travel shoe bags or bandannas. Managing expectations. Tell them how much longer they have to spend in the car, train or plane and give them something constructive to do such as drawing the things that they have seen on the trip to give as gifts to their grandparents. For older children, writing in a travel journal is another useful way of integrating learning with holidays. The top priority when travelling with children is to remember that they are looking to you for model good behaviour. If you are a fussy, frantic traveller, and always complaining to service staff, chances are you kids would be too. If you can make it look easy, then your kids are likely adapt to your style. So think positive, keep your arms free to hold their hands and smile – you are on vacation! Ana Ow is a full-time copywriter and freelance writer. Her two children, 8 and 5 years old, have been travelling with her since they were three months old. Places they have been to include the Taj Mahal, Eiffel Tower, the Great Wall of China, Niagara Falls and many others.